It’s the perfect gift for all your favourite relatives and friends! This book eloquently conveys the Buderim lifestyle through contemporary images and cleverly combines historical references, community life and delicious local food recipes to stimulate culinary creativity. 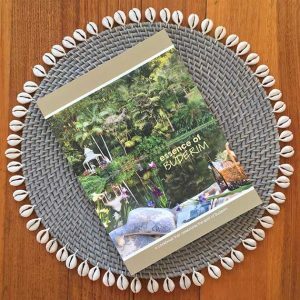 In keeping with the spirit of giving, the profits earned from the sale of this book flow to the Buderim Foundation which uses the income it earns to fund its annual community grants program. Following the success of the inaugural Foundation Fine Wine offer, we’ve secured another two outstanding limited batches of wine created and bottled exclusively for the Buderim Foundation by renowned vigneron and artisan winemaker David Franz Lehmann. Only this time, they are even better. Firstly, there’s a 2012 Eden Valley Shiraz and this time, there’s also a very special 2014 Adelaide Hills Chardonnay. 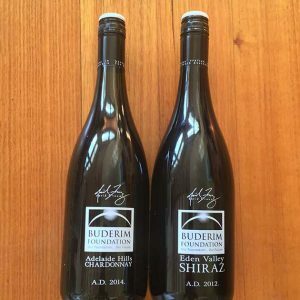 Both wines were bottled and labelled for the Buderim Foundation in November, 2016. Delivery will then be organised.